Tip #27 to Planning a Canadian Destination Wedding in Banff, Canmore, Lake Louise and Jasper – Consider a Bachelorette Party in the Mountains. Yesterday we talked about Bachelor Parties and how the mountains are an adventure playground perfect for an alternative to the traditional bachelor party. Today, it’s all about the Bachelorette (or stagette if you prefer)! Although mostly enjoyable, planning a wedding can at times be stressful. 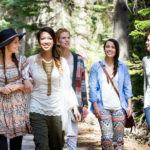 A mountain getaway with the girls is a great opportunity to decompress and have fun with your closest friends. You don’t have to fly off to Vegas to have a memorable girls getaway and you don’t have to be an adventure girl to enjoy the mountains. Your getaway can be relaxing, adventurous or anywhere in between! If you’re lucky, your friends will already be thinking about planning a bachelorette party in the mountains for you. If not, it’s best to drop a few hints! The key to a mountain bachelorette party is to consider activities that afford opportunities to reconnect and catch up in a casual, relaxed setting. Consider the bride’s personality and interests of the group when planning activities. Are they an outdoorsy group up for a day of snowboarding, or would they rather spend the day checking out the shops and relaxing at the spa? Whether you’re planning a day trip or a full weekend getaway, there’s nothing like the fresh mountain air and beautiful scenery to get everyone relaxed and ready for fun. 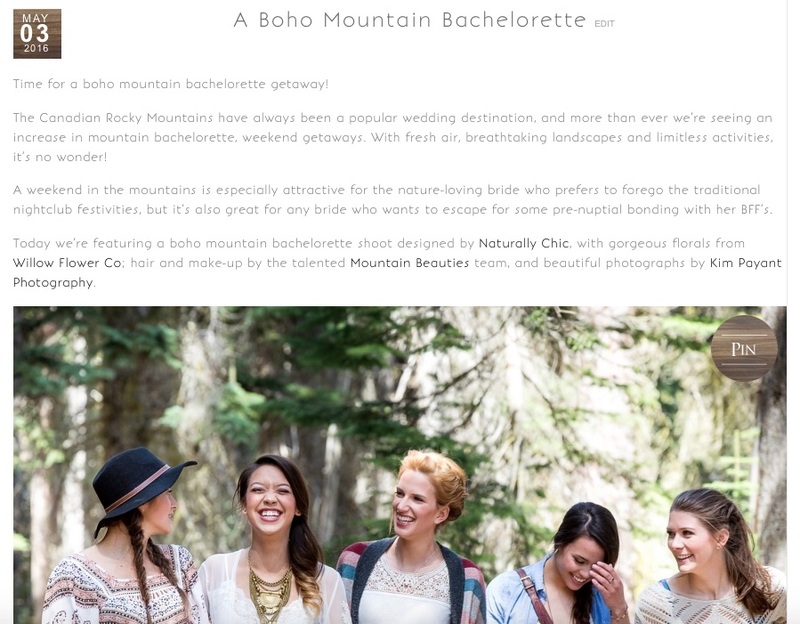 Contact Naturally Chic if you are wanting some help with planning a bachelorette party in the mountains. Email us at hello@naturallychic.ca and 1.403.679.1409. What can we do for you? We can book some great, affordable accommodations (or a luxury penthouse), arrange transportation and a driver for your night out, and we can help plan and organize a number of activities for you and your guests. Whether that means booking spa appointments or finding and arranging for climbing instructors and equipment, we are happy to assist. We will also arrange for a photographer to document your day etc. Whether you are needing just a little help or wanting assistance with the entire event, let us know! We can even help with your bachelorette “theme” and help you come up with cool decor, favors, and activities for your guests!